Use 3D Touch on Flickr's mobile app and save yourself a few finger taps. 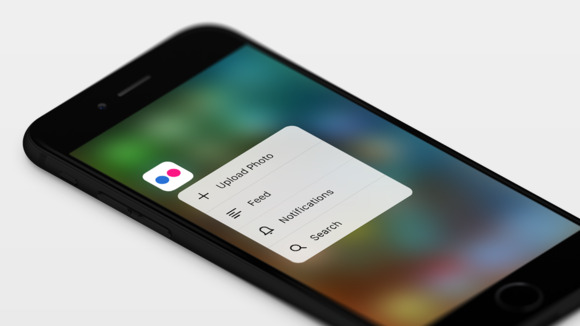 Flickr has announced a major upgrade to its mobile photo app to take advantage of two of iOS 9’s headline features: 3D Touch on the iPhone 6s and iPhone 6s Plus and the augmented Spotlight search function, according to a blog post by Flickr Community Manager Matthew Roth. Support for 3D Touch on Apple’s newest phones enables Quick Actions—designed to save numerous taps and swipes—letting you preview photos, people, notifications and more with a light press on the screen. Pressing the app icon lets you upload a photo or go directly to notifications or the feed or initiate a search from your home screen. 3D Touch with peek and pop in the upgraded Flickr mobile app. A new 3D Touch gesture in the app’s Camera Roll helps you locate your favorite or best shot. This new version lets you lightly press a photo to see its preview, then move your finger left or right to flip through other photos. Once you’ve found your favorite, press harder to Pop it to full screen. 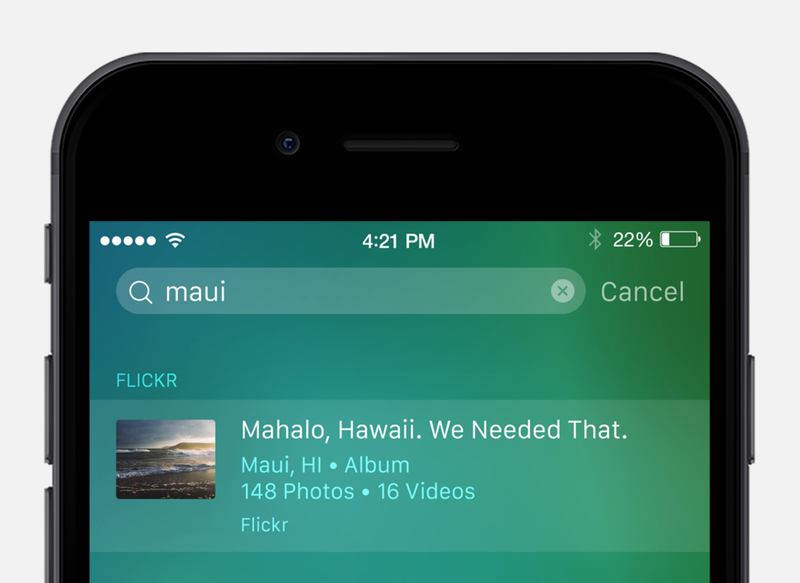 With Spotlight Search in iOS 9, you can hunt for albums, groups or recently viewed photos without having to open the app. Spotlight search in the upgraded Flickr app. Flickr now also features universal link support, so that links you send or receive will open directly in the Flickr app, rather than as a Web page in Safari. Why this matters: Flickr is one of the oldest and most popular mobile photo sharing social apps and it’s critical that the Flickr team keep the app up to date to support Apple’s newest iOS and handset technologies.